An ONLINE Breakdancing Class for "Ambitious Beginners"
Have you ever wanted to learn how to breakdance? Have you seen break dancing on television or at break dancing shows and you found yourself attracted to the style and power that breakdancing represents? 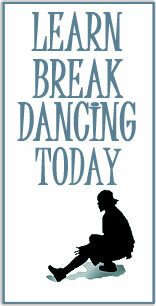 It's an art to some, a sport and to many and a way of life for most people who get into breakdancing. Break dancing is a challenging dance to learn and many people are too embarrassed to try to learn how to breakdance on their own as it's a fairly closed culture and difficult to learn if you're not already part of that culture. Those who know how to break dance probably learnt it through friends. Those who don't know how to breakdance often don't get the opportunity to learn at all. Finding a good break dancing school or break dancing course is challenging. While they do exist, they are often expensive, inconvenient to access or are named things like 'hip hop dance class' where you don't really learn how to break dance at all. At breakdanceclass.com we offer you the opportunity to learn from our world renowned breakdancer, Nathan, no matter where your are physically located. He teaches at breakdancing schools in the city but realizes that breakdancing is a dance that can be learnt from any place at any time. learning breakdancing is not restricted to a dance studio. Very few people learn how to breakdance in studios. In fact, when Nathan first started learning how to breakdance he taught himself predominantly from using online breakdance videos just like the one on this website. Interested? Want to Learn How To Impress Crowds? Our aim is to be the ONLY source you need in order to learn how to breakdance. We don't want to sell you 7 videos on how to breakdance, we don't want you to have to enroll in 5 courses to learn all the fundamentals of breakdancing, we don't want you to have to watch poor production quality videos created by an amateur who can't describe the movements properly. We want to provide you with only one high quality instructional video with EVERYTHING you need to get started in breakdancing. Our instructor will explain to you with great clarity and patience how to perform each move. Not only that, but we also provide you with both basic and advanced moves. While our course is for beginners it is also for ambitious beginners. We want to teach you the fundamentals but we also want to teach you some power-moves (the moves which make the crowds go "aaawwww"). We walk you through from your warm up into the 5 components of breakdancing (uprock, drops (transitions), footwork, freezes and power-moves). Within each category we'll teach you a handful of moves you can add to your Bboy/ Bgirl dance arsenal. We've had many beginners take this breakdancing course and they are often surprised by how quickly they learn and how advanced they can get so quickly. All you need is a computer and a space with no fragile things hanging on shelves or on the wall. Best of all you don't need to wait for anything in the mail. All of our course material is located online and is high quality but fast loading for those of you with slower internet connections. Therefore once you enroll in our course you will be able to start learning within 5 minutes. 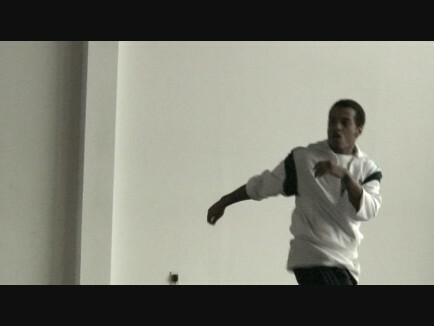 When you signup at Breakdanceclass.com we will teach you everything you need to know to feel confident breakdancing. Our course is broken down into two classes. They are as follows. Enrolling in our online breakdancing class is incredibly easy. All you need to do is click the enroll button at the bottom of the page, insert your order information and lastly you'll immediately be redirected to our student page Where you can start taking your breakdancing classes within the next few minutes. There is no waiting for anything! Once you are ready to enroll you can click on the link below. Enroll Today and you will receive 2 breakdancing classes for only $29.99 (less than $15 / class!). Promise 1: 30 day 100%, no questions asked, money back guarantee. Promise 3: Your order information will NOT be sold or used by our company in any other way other then to provide you with our course learning material.